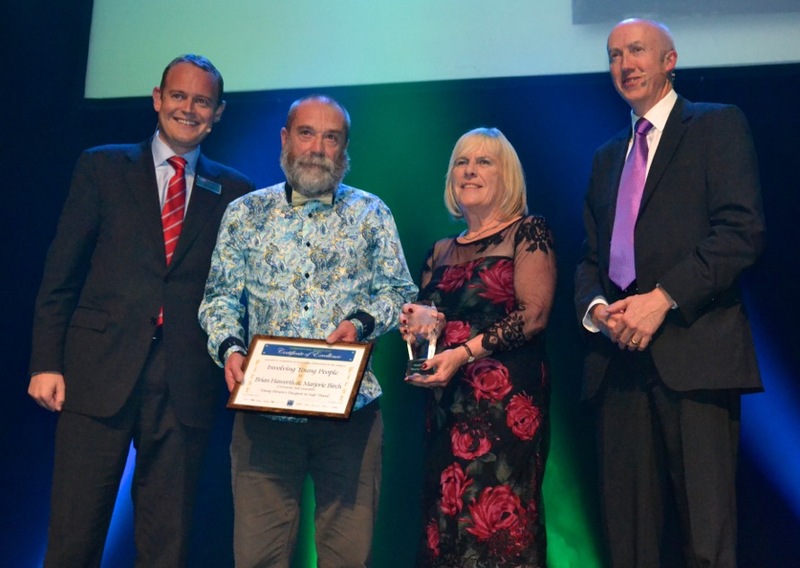 Three projects supported by Citizens’ Rail have been recognised at the UK’s Community Rail Awards. The award ceremony was held in Scarborough on Thursday 2nd October, and was organised by The Association of Community Rail Partnerships. Speakers included Baroness Kramer, Minister of State for Transport, and Paul Salveson, a leading light of the community rail sector in the UK. First prize in the Outstanding Teamwork category was awarded to partners involved in rebuilding Dawlish station after the devastating storm damage it sustained in February 2014. 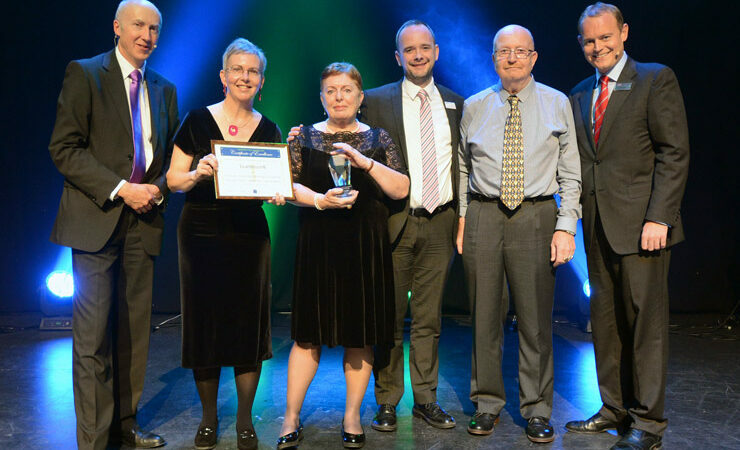 Pictured at the top of this article collecting the award are Citizens’ Rail Riviera Line Officer Celia Minoughan (second from left), Margaret Swift and Phil Bagshaw of the Friends of Dawlish Station (third from left and second from right), and First Great Western station manager Ian Mundy (third from right). The award was presented by Nick Donovan, Managing Director of First Transpennine Express (left) and Alex Hynes, Managing Director of Northern Rail (right). Read about Citizens’ Rail’s involvement in reviving the station. 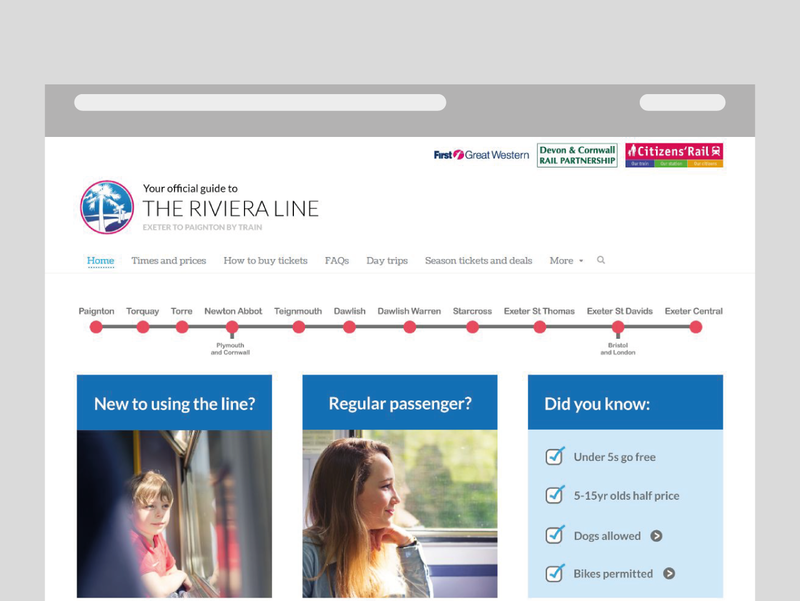 In the Innovation category, first prize went to The Riviera Line website developed as part of Citizens’ Rail to encourage more people to take the train between Torbay and Exeter. The site is believed to be community rail’s first “responsive” website – resizing to suit PCs, tablets and smartphones. Its content is tailor-made to help non-users to overcome barriers to travel. 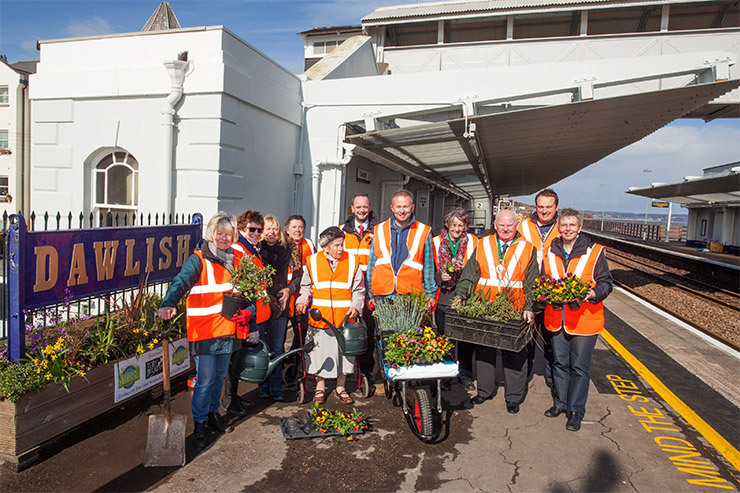 To complete a hat trick of awards, third prize in the Best Station Gardens category was awarded to the transformation of Torquay Station garden by Robert Owen Communities and First Great Western. Working twice a week in all weathers, the station platforms have been transformed with planting on an English Riviera theme including reclamation of a large rockery. The project has not only improved the look and feel of Torquay station but has allowed the young people to gain confidence, social interaction and nationally recognised qualifications to help them into employment. Read about Citizens’ Rail’s involvement in the project. Congratulations also go to Citizens’ Rail partners Community Rail Lancashire, whose “Young persons’ passport to safe travel” project won the Involving Young People category. Our colleagues in Lancashire have an excellent track record in engaging children and young people in their railway. Children from one of the schools they work with gave an outstanding presentation to EU partners at Burnley Manchester Road’s new station building in July. And soon as part of Citizens’ Rail, the same children will be taking a train journey to Aachen, our German partner city, in a fantastic example of transnational learning and collaboration. More news on this soon. Read about the passport to safe travel scheme.